What Should I Do if I am Victimized? What is OC Human Relations? 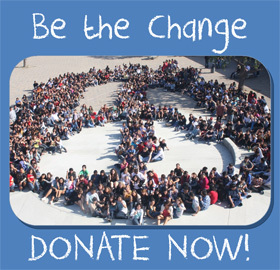 OC Human Relations is a 501(c)(3) non-profit agency whose mission is to foster mutual understanding among residents and eliminate prejudice, intolerance and discrimination in order to make Orange County a better place for ALL people to live, work and do business. We rely on the financial contributions of people like you. OC Human Relations serves everyone. Our mission is to make Orange County a better place for ALL people. What services does OCHR provide? Creating Safe and Inclusive Communities through our award winning BRIDGES school program. Developing Diverse Leaders through programs that empower people to have a voice in the decision making processes of the institutions that affect their lives. Mediating Conflict by encouraging dialog as an alternative to violence and litigation. Building Understanding and Respect among diverse communities, law enforcement and residents so we can discover that we have more in common as human beings than that which separates us into isolated groups. How do I report a Hate Crime? EMERGENCY: Call your local Police Department or 911. Please call us at 714.480.6570 to report a Hate Crime. Hate Crimes are reported anonymously. What is the difference between a Hate Crime and Hate Incident? California Penal Code section 422.55, defines Hate Crime as being a criminal act committed, in whole or in part, because of one or more of the following actual or perceived characteristics of the victim: Disability, Gender, Nationality, Race or Ethnicity, Religion, Sexual Orientation, or association with a person or group of persons with one or more of the preceding actual or perceived characteristics. Examples – painting racist, homophobic and/or religious graffiti on private property; burning a cross on an individual’s lawn; an assault; a criminal threat of violence against an individual or group; attempted murder or murder. A bias related incident is behavior that is motivated by hate or bias towards a person’s actual or perceived disability, gender, nationality, race or ethnicity, religion or sexual orientation but that is not criminal in nature. Typically these behaviors are protected by the First Amendment right to freedom of expression. If this type of activity escalates to threats being made or carried out against a person or property, or becomes an incitement to commit violence it would be classified as a hate crime. BRIDGES is a multi-year program with the mission of improving inter-group relations by partnering with schools and communities to create, advocate for and sustain a safe, inclusive, and equitable campus climate that respects society’s diversity. BRIDGES empowers members of the campus community to identify, investigate and address the human relations needs on their campus via trainings and dialogues. They acquire the skills to work with a diversity of people while improving the human relations climate on campus and addressing student success and opportunities. Their worlds grow larger as they are exposed to different people, backgrounds, cultures and experiences. Mediation is a voluntary method of dispute resolution in which the parties settle their dispute with the aid of a trained mediator or a co-mediator team. Agreements are reached through effective communication, negotiation, compromise and exploration of options. Any dispute may be brought to mediation as long as both sides agree to attempt a mediated solution. How can I get mediation services? If we can assist you, we will contact the other party. Once both parties agree to resolve the dispute through mediation and are ready to meet, a mediation session will be scheduled at a mutually convenient time and location. The goal of the mediation session will be to reach an agreement that is satisfactory to both parties. How can I become a mediator? If you are interested in becoming involved in casework in mediation and conciliation, you need to complete mediation training. The OC Human Relations Dispute Resolution Program offers a 40-hour mediation certification training which is presented by the staff. Our Mediation Program provides an opportunity to get hands-on experience as a practicing mediator with our Dispute Resolution Program while earning certification. As a volunteer mediator, you can practice and develop your mediation skills while applying them in real-life community and court-based situations. Applicants for this program must be available during our daytime weekday hours (8am-5pm) and have the ability to complete a minimum of 120 volunteer hours within a six month period of time. Those with bilingual abilities are particularly encouraged to participate in this program. OC Human Relations is a 501(c)(3) non-profit, Tax ID # 33-0438086.